Jane joined the team here at the T raditional Acupuncture Centre a few weeks ago and will be working Wednesdays to Fridays 9.00am to 5.00pm in Reception. the practice, she will also be looking after our social media presence, newsletter and website. Jane also has a strong creative side and enjoys all sorts of arty pursuits, most notably mosaic art. She currently has mosaic work featured in a mosaic exhibition ‘Ancient Themes, New Perspectives’ at the Corinium Museum in Cirencester, Gloucestershire. 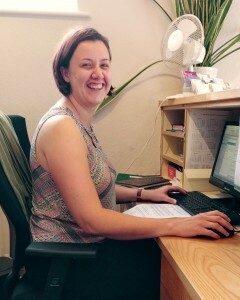 We’re really happy to welcome Jane to the centre and she looks forward to meeting you on your next visit.